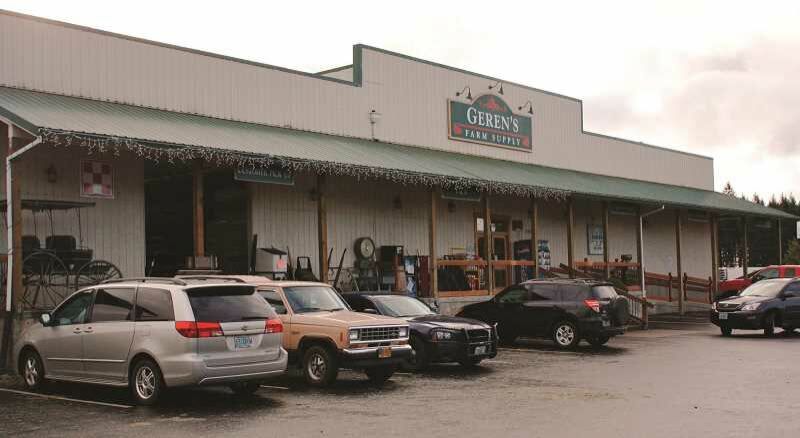 Local farm store Gerens Farm Supply creates event for kids with autism on Dec. 10. For people with special needs, the holidays can be an especially difficult time. Those winter traditions many hold dear, such as early morning shopping trips on Black Friday amongst throngs of fellow super savers, community tree lighting ceremonies, and even visiting with Santa Claus can be stressful situations for those with sensory processing issues or autism. Many children on the spectrum have missed out on these experiences through the years because of their aversions to crowds or touch or loud noises, but this year, Roz Rushing, co-owner of Gerens Farm Supply, hopes to make an event just for these kids. From 8 a.m. to 10 a.m. Sunday, Dec. 10, the store at 33680 S.E. Kelso Road will open early with no gimmicks, no overhead music, just Santa for an exclusive visit with local children with special needs. Rushing hopes to make a comfortable environment for the kids to meet Mr. Claus apart from the usual masses of their peers. "It's just challenging for kids with autism or special needs," Rushing said. "I've been thinking about doing this for a while. We wanted to provide that kind of event to those kids (and) Santa is willing and excited." Last year a mother expressed to Roz that she tries to arrive at events like Gerens' annual Saturday visit with Santa early to avoid the crowds, and this only made Roz more determined to create something special for those children. "My son is 12, so he's a little old for Santa, but he is still excited and acts like a 4 or 5-year-old," Gerens customer Melinda New said. "He misses out on a lot of stuff because he has autism. Being around typical kids and typical parents, you don't want to be judged by people." New added that though the event sounds like a great opportunity for the childrenThe, it is also a huge relief for the parents as well. "The big thing is (this event) helps the parents," she explained. "It makes us feel like less of an outsider too." Rushing said the response she's received regarding the event on social media has been positive, and she plans on making it a new tradition. "We're not pushing sales (on Sunday), it's just for the kids," she added. "I'm looking forward to seeing how many families we can help — to see the kids' faces." The traditional visit will take place from 11 a.m. to 2 p.m. Saturday, Dec. 9., complete with door prizes, discounts, refreshments and face painting galore. Pictures with St. Nick will be available free of charge at both events, with additional photos $1 each. Pictures can be picked up on Tuesday, Dec. 12.